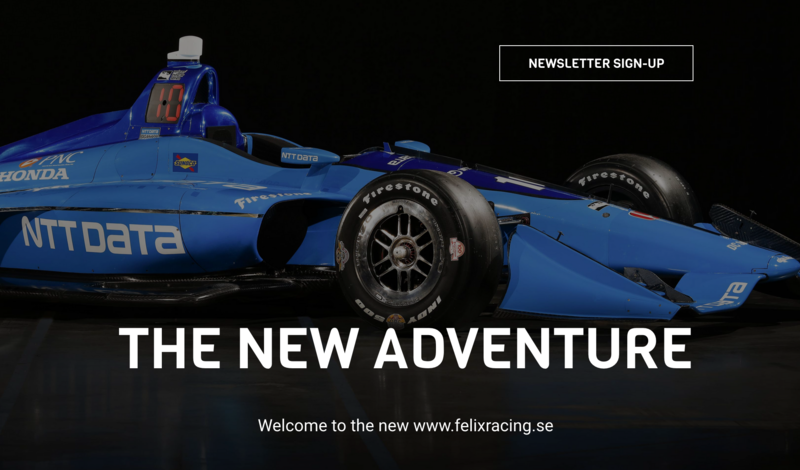 Welcome to the new www.felixracing.se! 2019 has arrived, and with it a major new chapter in Felix Rosenqvist’s career. Entering America’s top-level IndyCar Series as team-mate to reigning champion Scott Dixon at leading outfit Chip Ganassi Racing, the new year brings a whole new set of challenges and promises. To mark this exciting occasion, we are happy to launch a new version of www.felixracing.se to go with it. As a matter of fact, if you’re reading this, you have actually found your way here. The new website contains all the latest news plus everything from the old site, but with some fresh elements to top it off. For example, there is a brand new IndyCar page where you can get up to speed with everything that concerns the championship; its history, the cars, rules and regulations, and more. It also features a special section about the Greatest Spectacle in Racing, the Indy 500. If you’re part of the media, you can now also easily download information and rights-free images from throughout Felix’s career at our updated media portal. As always, the site is 100 % available in both English and Swedish. Please keep returning for all the latest content throughout the tremendously exciting season ahead. In the meantime, please enjoy the new layout – we hope you will find it useful!